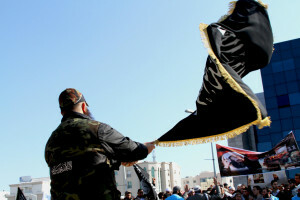 How Tunisia Got Transformed into a Major Exporter of Jihadists? The terrorist attack on the Christmas market in Berlin that occurred on December 19, resulted in government officials pledging their commitment to the speedy deportation of failed asylum seekers, since the attacker was a Tunisian migrant. Tunisians have been treated extremely cautiously in Europe recently and at this stage it’s imperative for us to understand why. Why Tunisia, which was believed to be the most advanced democracy in the whole Arab World, is now perceived as a major exporter of terrorism? Six years ago, in December 2010, a 26-year-old street vendor Mohamed Bouazizi set himself on fire in front of the Sidi Bouzid town hall to protest the injustice of police harassment he was subjected to. This suicide shook the very foundation of the country and led to massive civilian unrest that would force President Zine El Abidine Ben Ali to resign and flee abroad. This second “Jasmine Revolution” marked the beginning of the so-called “Arab Spring”, which affected a large number of Middle Eastern and Northern African states. One of the main driving forces of the Tunisian “Jasmine Revolution” was the youth. Back in the day, more than 60% of all unemployed in Tunisia were young men and women, who became a burden upon their families after receiving an expensive education but were unable to find employment. After the initial success of the second “Jasmine Revolution”, many sought to export their revolutionary euphoria to other Arab states. However, it would be a mistake to claim that they were guided by religious considerations, since most of those young revolutionaries were radicalized abroad. As the years passed, the results of the revolution were nowhere to be found and little changed in the day to day lives of the Tunisian population was evident. In the absence of new jobs, unemployment got much worse, which forced the government into a position when it had no arguments to counter the extremist propaganda that was spreading like cancer across the state. There was nothing to fill the ideological and educational niche and extremists took full advantage of this fact. This is especially true in rural areas of the country, where there are no clubs for the young, no cultural events or other recreational opportunities. Unemployment, marginalization and social crisis resulted in young people being pushed abroad. An educated Tunisian had two times less of a chance to get employed that an uneducated one, since there were no professional jobs. All these factors pushed those young souls right into extremist hands. Abroad, where young Tunisian people tried to find a better future, they were treated with disregard and contempt, especially in Europe. In turn, recruiters from various terrorist organizations found many willing recruits, with sums as high as 10,000 dollars provided to each new militant. In addition, the terrorist organizations provided material support to the relatives of their new fighters. Against this background, terrorism quickly became one of Tunisia’s major problems. In 2015, extremists attacked the National Museum and a hotel in the Sousse resort area, which resulted in almost 60 foreign tourists killed. Later that year terrorists blew up a bus carrying presidential guard soldiers. The Government of Tunisia has been trying to solve the problem of radicalization through repressive measures. In the summer of 2015 the Tunisian parliament passed a new anti-terrorism law that would significantly expand the authority of local security forces. As for the national program for the prevention of radicalization of young people and the rehabilitation of those who have already been recruited by terrorists, it is nowhere to be found. This resulted in Tunisia becoming transformed into a breeding ground for terrorism. The New Yorker would note that between six and seven thousand Tunisians have joined the ranks of terrorists in Syria and Iraq. At least fifteen hundred more have crossed the Libyan border; by some accounts, Tunisians constitute half of all terrorists in that failed state. As many as seven hundred have returned home, and the government claims to have prevented sixteen thousand from falling into terrorism. Local security experts are afraid that Tunisia may soon be transformed into a second Somalia, as an ever increasing number of battle hardened terrorists are returning home and adding to the problem. It’s been reported that Tunisian terrorists have developed a reputation for being involved in extreme violence. In Iraq, they, along with other North Africans, have been known for volunteering to become suicide bombers. The history of Tunisia is a tragedy of secularism versus extremism. Religious education in Tunisia is compulsory, but there’s little depth to it. The absence of a true understanding of Islam leaves young people vulnerable to terrorist organizations and their recruiting efforts. Most Tunisians know little about true Islam beyond the most superficial rituals. What’s even worse is that with the way digital technology has transformed the dissemination of information and culture, it is no longer practical to claim that certain behaviours or events are external, simply because they originated in other parts of the world. It’s been noted that post-al-Qaida terrorism takes the shape of its host and consumes it inside out. It is no longer an entirely external problem, and face-to-face confrontation will not suffice.